When Revealed: If it is Night, raise each player's threat by 4. If it is Day, flip the Time objective to Nightfall. 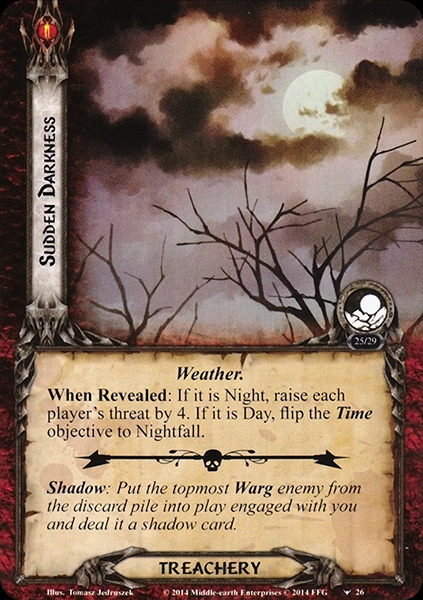 Shadow: Put the topmost Warg enemy from the discard pile into play engaged with you and deal it a shadow card.